Customers from Denmark are responsible for the cost of returning item(s), and for your parcel until it arrives at Route One. 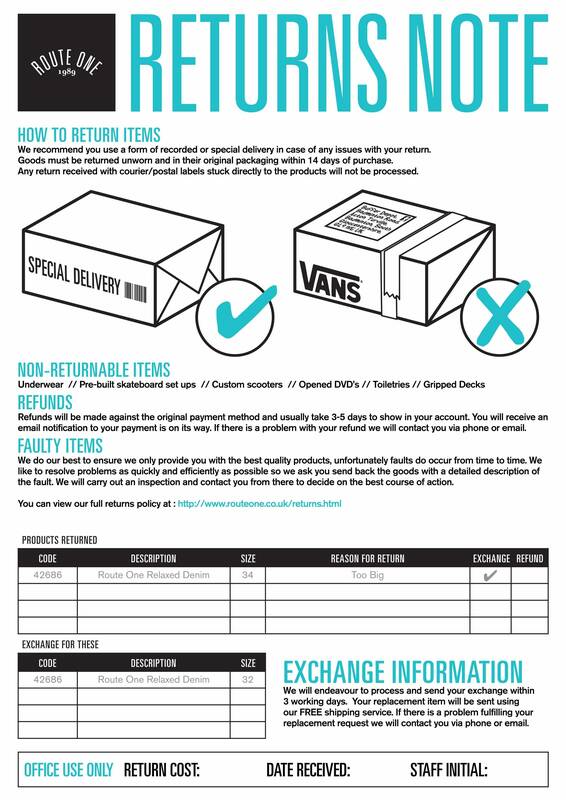 Route One have a 100 day returns policy from the receipt of your parcel, for an exchange or refund. Worn or used products will not be accepted unless faulty. Please allow 7-10 working days once the goods have reached us, to give us time to process your returns. Any returns received after 100 days, can no longer be processed. Nixon Watches - Please see our Nixon Watch returns and warranty page for full information.